Over the years I think I bought a total of five to six lunch bags. I have two children that goes to school, and I also use one to carry food to work. Lunch bags are a necessity to us. I even use one to store and carry my baby's milk when we go on a trip. I prefer insulated ones because it preserves the temperature of the food or drinks. 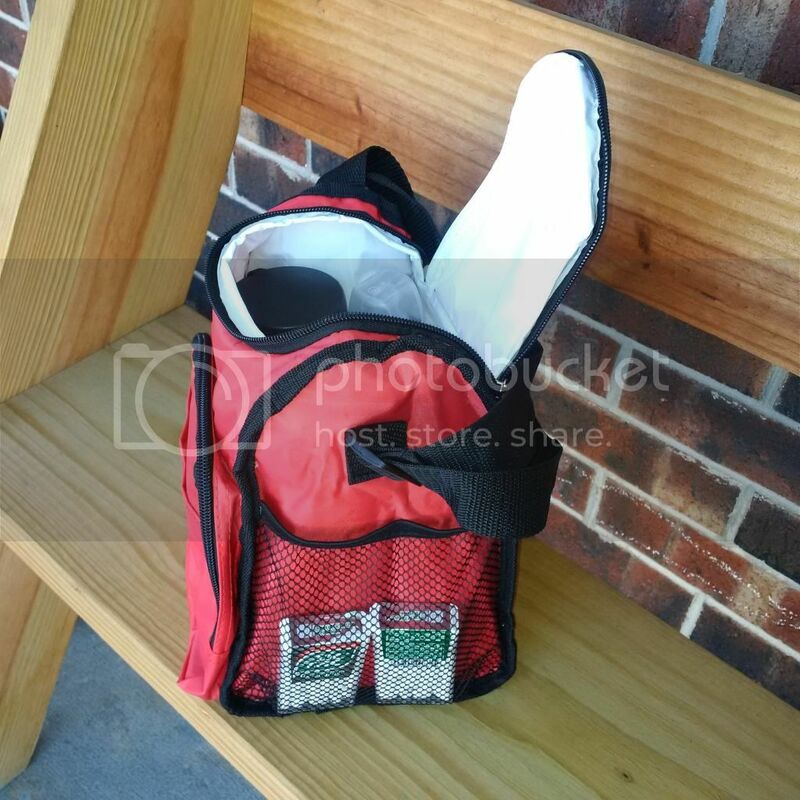 Our lunch bags comes in different sizes, colors, brands and prices. Though I got five of them, It seems as if I don't feel satisfied with their performance and I find myself searching for something that match my needs. My kids never seems bothered though, I mean they don't care for the lunch bag as long as they have food to eat. I just don't like how some lunch bags are designed. We have one where I have to put a container at the bottom as a base so it will stand evenly and stable on a counter. 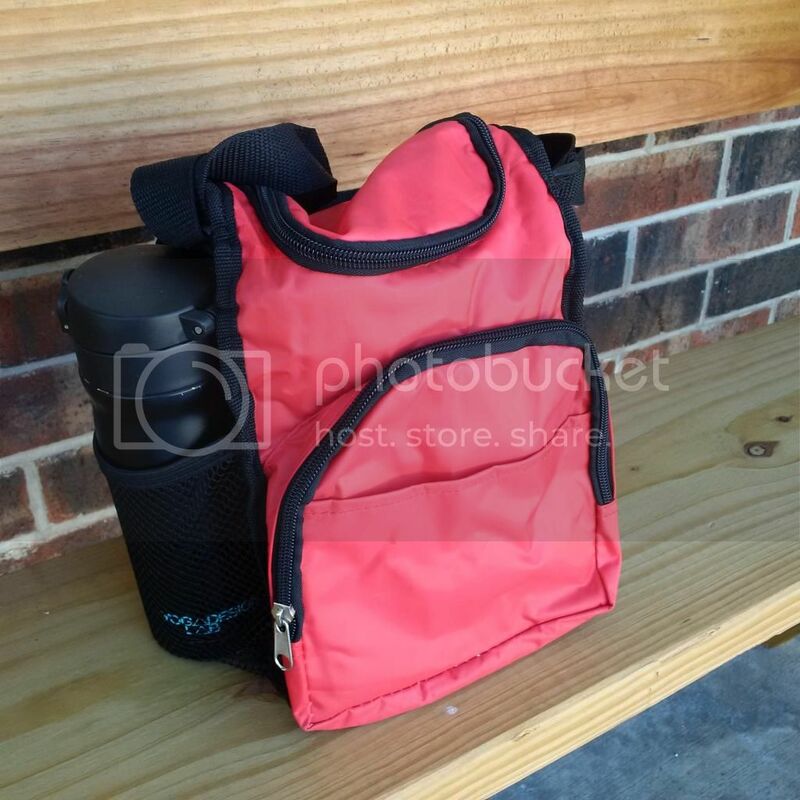 So glad I was offered to review this amazing Sacko Insulated Lunch bag. I received one for free in exchange of my honest opinion. I was just looking for a perfect size that I could use to carry food to work. Not so big and not so small and Sacko Lunch bag met my needs. I choose the red color because it looks attractive. This lunch bag look smaller from the outside but actually spacious on the inside. I was able to fit two small containers of my food, a can of v8 juice, a pear and a mandarin fruit and a cup of yogurt for my lunch at work. It has two side mesh pockets, i put my vacuum sealed water bottle on one side and my two mints containers on the other side. When we went on a trip one time, I used it to carry my baby's milk bottles. I was able to fit 5 milk bottles and a water container inside. This lunch bag kept the milk cold for the 4 hour we were on a trip. The design is excellent, you can carry more stuffs as you want. The two side mesh pockets is a brilliant idea. I sometimes put my cellphone there too for easy access. It has a zipper on the main compartment and front pocket making your items safe. It is very easy to carry because of the adjustable shoulder strap. It looks very sturdy and very easy to clean. I washed it one time I accidentally spilled my opened can of juice and it doesn't take too look to dry it. I am giving this product a five star and also I recommend it. In fact I use it to carry my lunch to work everyday. Want to get your own Sacko Insulated Lunch Bag? Place your order on their Amazon link. Copy and paste this link. 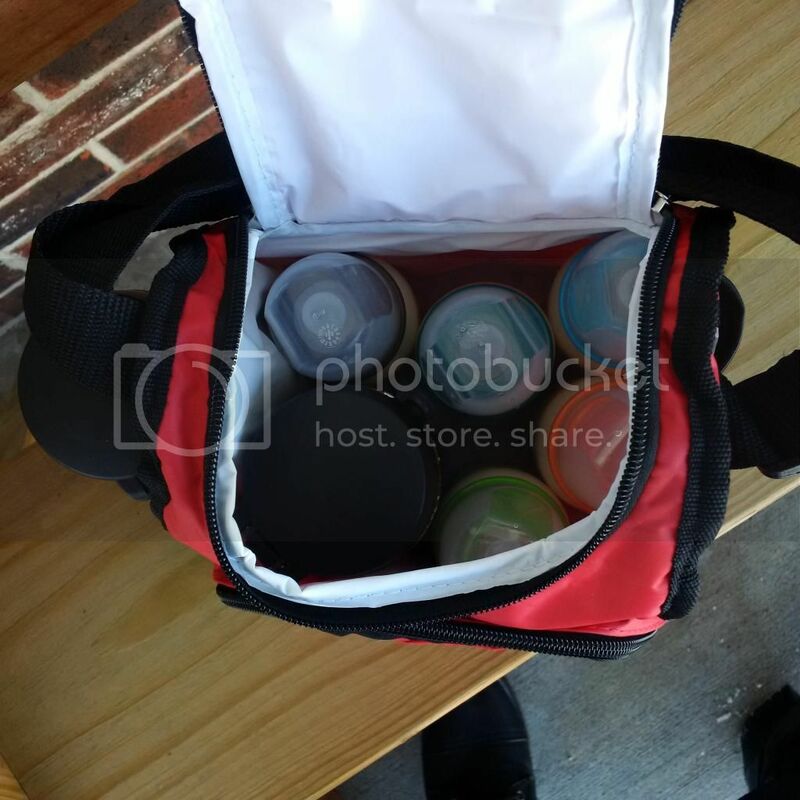 Disclosure: I received a Sacko Insulated Lunch Bag FREE for review and product evaluation purposes. However, all opinions expressed were mine and not influenced in any way.